Looking for a wedding band in Tampa? DeLeon Entertainment provides live wedding music for the ceremony and reception. 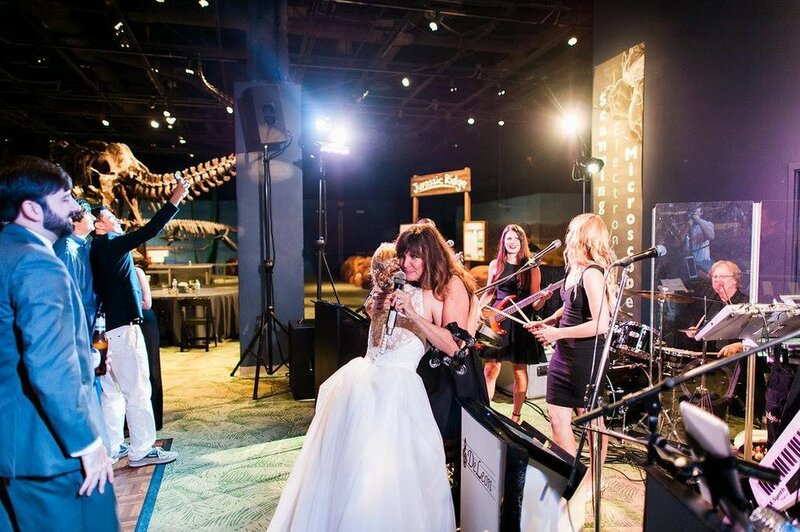 Experience and enthusiasm sets the DeLeon Band apart as South Florida’s premier wedding band. Our unique focus on customer service will set you at ease for the biggest event of your life. We know it’s the details that comprise an overall message of happiness to you and your guests, and we want you to know that we care. We understand the rhythm of music and how to time each musical moment; we know when to let your guests dine to enjoyable background music and when to kick up the energy to celebrate; and most importantly, we know that you want a wedding band you can count on to deliver professional service. The DeLeon Band has been based in Tampa, FL for over 25 years and has a richly established network of venues, vendors, and clientele throughout Florida. As a family-owned business, we can assure quality of care and an outstanding reputation. “DeLeon” is synonymous with a heritage of talent and service that spans three generations. We want to bring a joy of music and a celebration of love on your wedding day to create a lasting memory, from our family to yours. We consider our wedding band more than just a business, just as a wedding reception is more than a party. While the business aspects of DeLeon Entertainment hold extreme importance and are cared for with an unparalleled attention to detail, we also hold a strong commitment to the ambiance on your special day. Your rehearsal dinner should set the right tone for the upcoming festivities, your ceremony should hold the beauty and poignancy required for such a treasured moment, your cocktail hour should be full of warmth and invitation to your friends and family, and your reception should be a party to remember. We work with our brides, grooms, mothers, and fathers hand-in-hand with a mutual desire to create something special: an once-in-a-lifetime event, an extraordinary experience, and a memory that lasts with the sparkling enchantment and warming happiness of love. Or all of the above; we want you to customize your musical selection to your pleasure. With each step of the way, we are dedicated to providing service that exceeds expectations. First-rate musicianship and top of the line equipment makes our wedding band comparable to New York bands of the highest caliber and class. The DeLeon Band ensures that your family and friends will be enraptured with the magical soundtrack of your special day. PLANNING YOUR WEDDING? CONTACT US NOW!